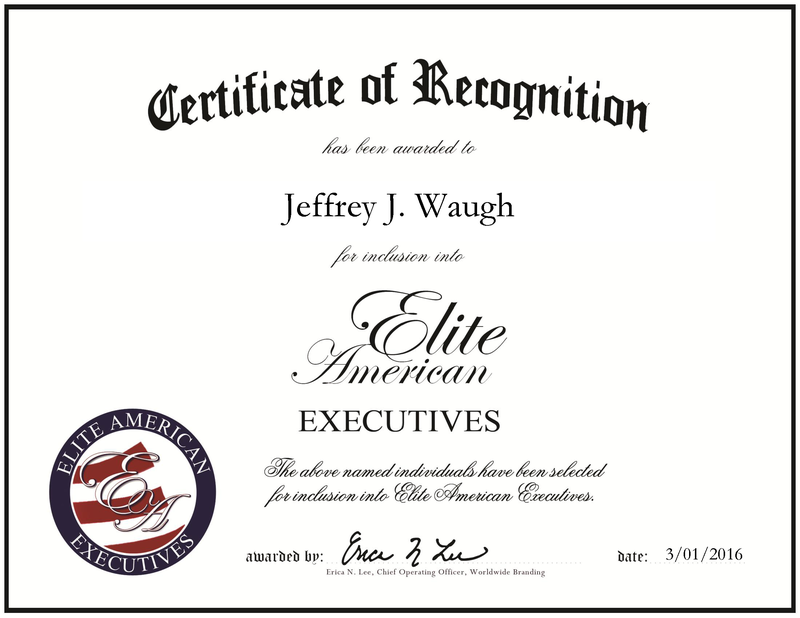 Company: LANDLOCK Natural Paving, Inc.
Chicago, IL, March 1, 2016, Jeffrey Waugh, President of LANDLOCK Natural Paving, Inc., has been recognized by Elite American Executives, for dedication, achievement and leadership in manufacturing management. For six years, Mr. Waugh has guided LANDLOCK Natural Paving, Inc. as the president. This company offers an innovative, cost-effective alternative to traditional road building materials. As asphalt and concrete are expensive and require often upkeep, clay and dirt roads pose environmental problems and poor driving conditions, LANDLOCK’s solution offers a durable, inexpensive option that works for developed nations like the United States and underdeveloped ones as well. As president, Mr. Waugh oversees all operations, from project management to roadway designs. He maps out an international travel itinerary and budget, while configuring logistics, strategic planning and overseeing green infrastructure. Mr. Waugh has more than 15 years of experience as a professional in international logistics. His success stems from his technical expertise and ability to apply tactful leadership skills. Before coming to the company, Mr. Waugh was fascinated by the product and wanted to be a part of the companies’ development and growth. Since then, he has utilized his incomparable sales and marketing skills. In addition to running the company, he is involved with the creation and implementation of the LANDLOCK charity, which aims to support philanthropic endeavors in the countries the company conducts business in. This entry was posted in Automotive, Engineering, Environment, Uncategorized and tagged logistics, manufacturer, marketing, natural, natural paving. Bookmark the permalink.